Get set for more mischief and mayhem as the lovable Chipmunks and Chipettes are back in brand-new episodes of ALVINNN!!! and the Chipmunks this February on Nickelodeon USA! ICYMI: Nicktoons UK & Ireland will also be premiering all-new episodes of ALVINNN!!! and the Chipmunks this February, weekdays at 4:00pm from Monday 4th February 2019! 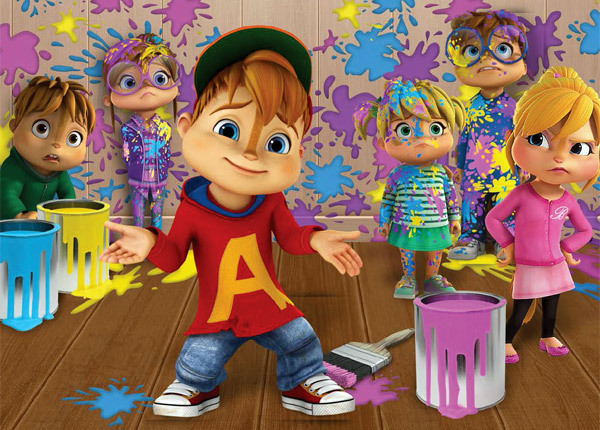 More Nick: Nickelodeon International Acquires 'ALVINNN!!! and the Chipmunks' Season 5! Originally published: Saturday, January 26, 2019. Source: Zap2it TV Listings; H/T: Huge thanks to @TVShowsFan for the news! Follow NickALive! on Twitter, Tumblr, Reddit, via RSS, on Instagram, and/or Facebook for the latest Nickelodeon and ALVINNN!!! and the Chipmunks News and Highlights!